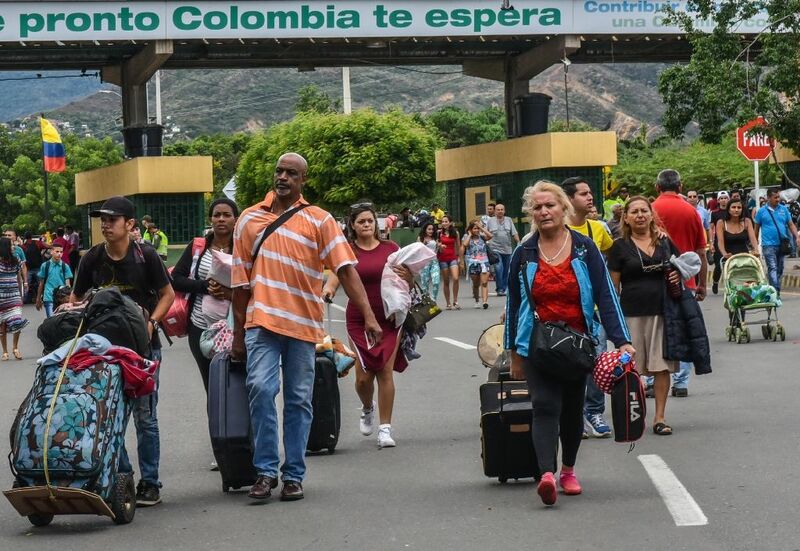 The flow of Venezuelans crossing the border into Colombia to escape unrest and penury at home has become a torrent because of fears of violence surrounding a weekend election organized by the government. 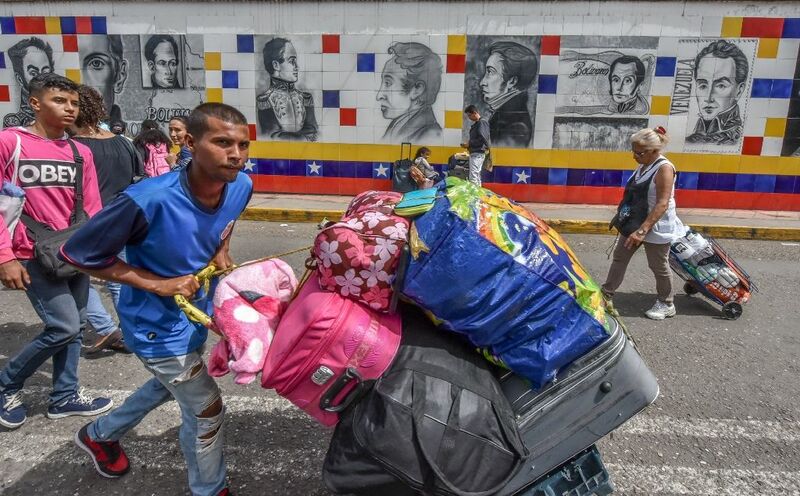 Thousands of them, many hauling overloaded suitcases, can be seen passing in both directions: some to seek refuge in the neighboring country, others returning after filling up on food and basic supplies missing in Venezuela. Under the shade of a tree, Maria de los Angeles Pichardo, 29, was resting after crossing over at the Villa del Rosario frontier post with her husband and their four-year-old son. "We had to move our trip forward because of the elections on Sunday. Honestly, we don't know what's going to happen, so to be safe we prefer to leave," she said, adding that their ultimate destination was in Peru. The anxiety was triggered by an election called by Venezuelan President Nicolas Maduro to choose members of a Constituent Assembly tasked with rewriting the constitution. That plan, though, has been met with strikes and mass protests in Venezuela, opposition resistance and international alarm. There are fears that deadly violence from four months of anti-Maduro protests and police repression, which have seen more than 100 killed, could surge. There are also concerns that the US could make good on its threat to impose economic sanctions if the vote happens -- a devastating step for a country already in economic crisis and, some say, on the brink of civil war. 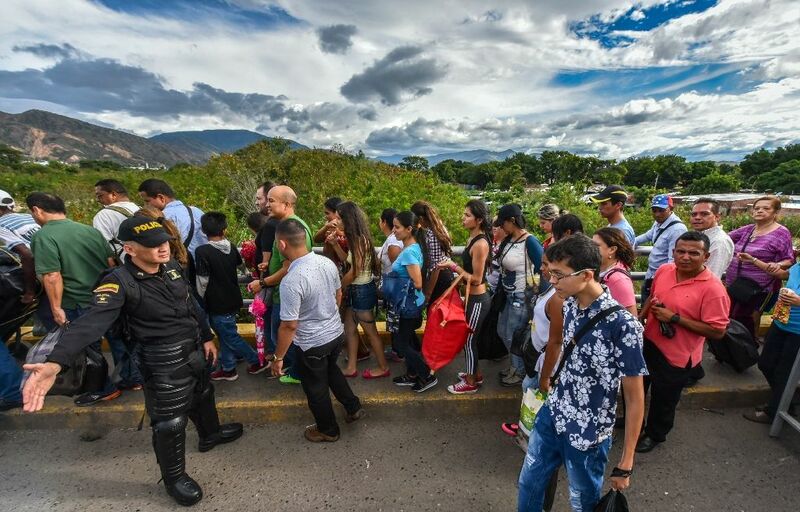 The head of Colombia's migration service, Christian Krueger, told AFP that his country's authorities had a "contingency plan" ready for various possible scenarios, including a massive exodus of Venezuelans. Definitive emigration, Pichardo said, was the only solution for her family. "There's no food to be found, you can't go to work with all the strikes, and there is no security," she said. The outflow is already evident in the Colombian border town of Cucuta, where more and more spots have opened up selling Venezuelan food and hundreds of workers looking for under-the-table jobs mill in the squares. While many Venezuelans see their neighbor as a stepping stone to other countries, Krueger said an estimated 300,000-350,000 already live in Colombia, most without proper residency papers. William Galvis, a 45-year-old vendor who was born in Colombia but spent the past 23 years living in Venezuela, most recently with his Venezuelan wife and their eight-year-old daughter, said he saw no option but to bring them back to his birth country. The inability to find medicine needed by his wife was the trigger for them to pack what they could in four suitcases and cross the border. "Given that Maduro doesn't want to budge, unfortunately all we can do is come back here," he said. "Most of the Venezuelans who came over with us are going on to Ecuador, Peru, Chile and Colombia because they can no longer take the situation," he said. According to Colombia's migration officials, this week has seen a spike in the number of Venezuelans crossing over to buy food, especially as Monday was a holiday in Venezuela. But a new nationwide strike the opposition has called for Wednesday and Thursday also spurred the flow of people. The officials said around 25,000 Venezuelans enter Colombia each day, with around the same number leaving. Many are doing round trips to pick up essential supplies unavailable in Venezuela, like rice, sugar, pasta and personal hygiene products. Some come looking for work. One of those finding a job was Hengember Castillo, who was selling bus tickets. "The situation we're living under in Venezuela is critical," the 40-year-old said. "It's not easy to support a family. People look for a solution in coming and going to buy food here and take it back to their families." In his case, he was desperate to find full-time employment in Colombia, despite its high unemployment rate, to take his wife and daughter to Bogota, where his mother and sister were already living. Colombia's authorities say the Venezuelan crisis is a regional problem needing a regional solution. It has held meetings on the issue with various countries, including Brazil, Mexico, Panama and Peru. "Clearly this is a situation that is not only up to Colombia, but for the region," Krueger said.